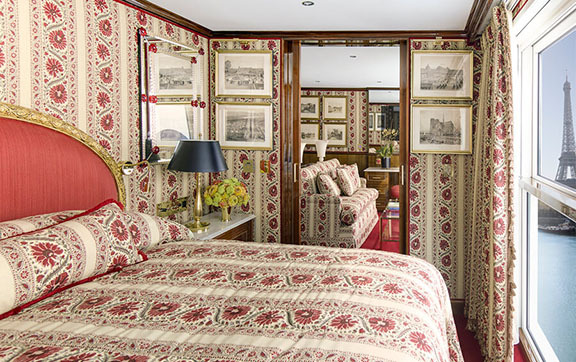 Experience a different side of Northern France’s history with a choice to tour two majestic palaces, Versailles, once home to Louis XVI and Marie Antoinette. 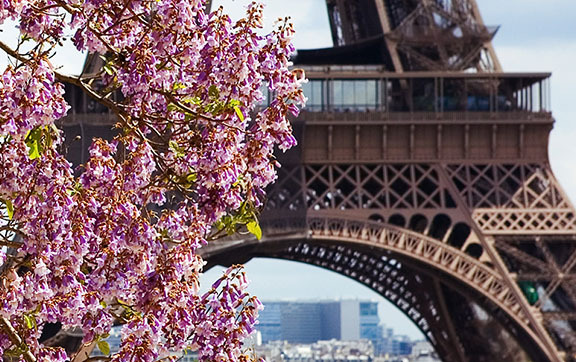 See the best of Paris in one of three ways via the “Heart of Paris” cruise and city tour, an exclusive “Do as the Locals Do” tour or an exclusive guided “Let’s Go” bike tour. There are plenty of opportunities to take part in more active experiences, such as golfing at Sainte-Mère-Église in Étretat, perched on the cliff high above the sea, making playing golf here a memorable experience and visual feast. * All prices quoted are PER PERSON based on twin share in Australian Dollars and include taxes, fees and port expenses (if applicable). 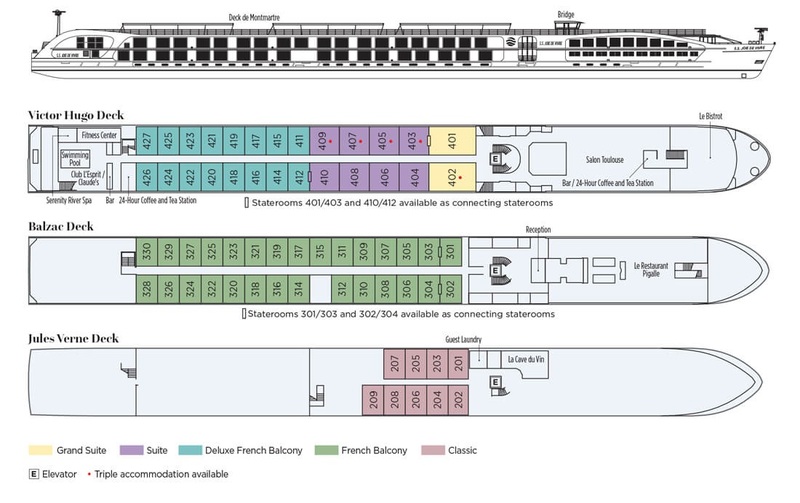 All prices quoted are for the cruise departing on 04Nov19. Certain departure dates and embarkation points may be at an additional supplement. For more information please contact one of our Travel Specialists. 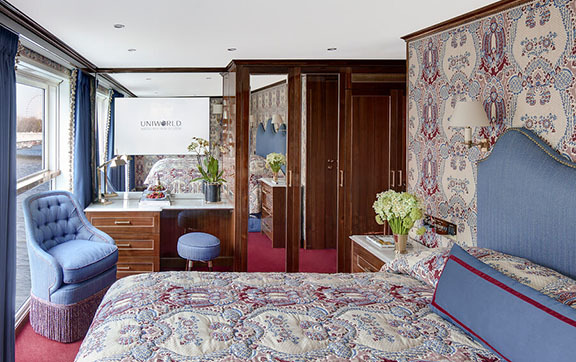 This year, Uniworld’s newest Super Ship—S.S. 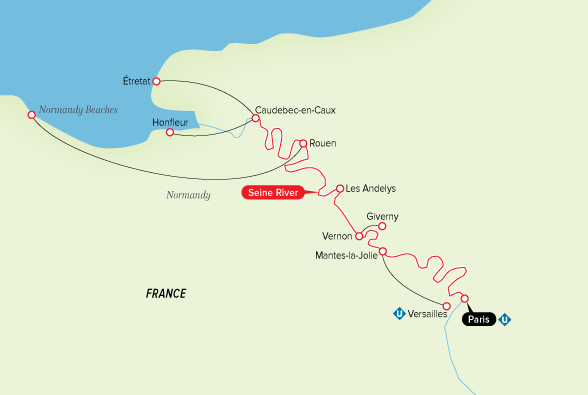 Joie de Vivre—will bring the “joy of living” to the rivers of France. 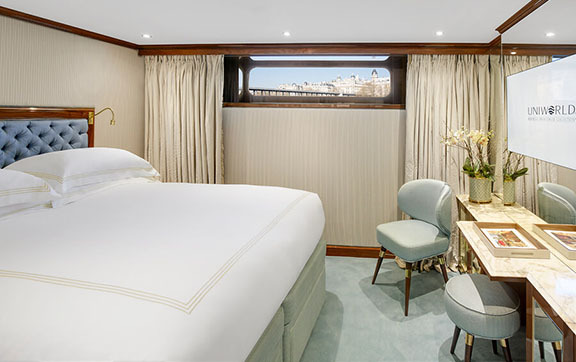 Step aboard your floating pied-à-terre in France, featuring handcrafted furniture and fine antiques, original artwork, and signature accents inspired by 20th-century Parisian design from the Golden Twenties to the free-spirited Sixties, all blending seamlessly with modern conveniences. 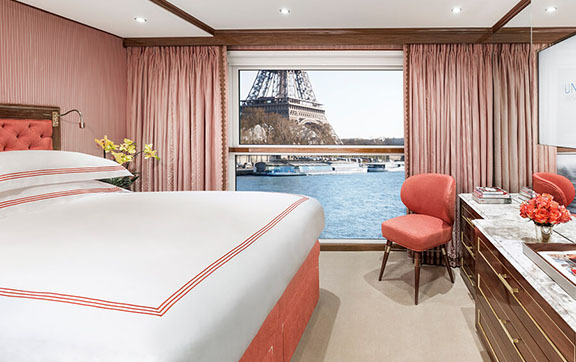 The S.S. Joie de Vivre, our brightly colored, chic and sophisticated “super yacht” on the Seine, will completely immerse you in all things French before you ever set foot onshore. Ooh la la! 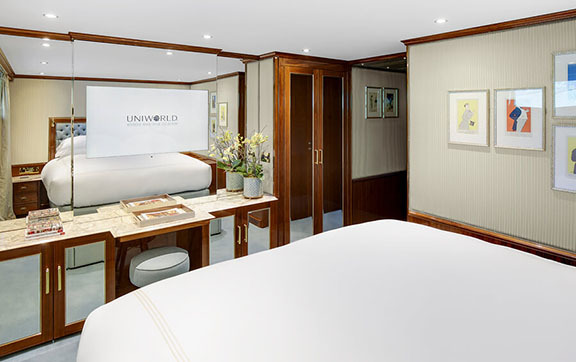 Relax and indulge your mind, body and soul at Club L’Esprit, Uniworld’s onboard spa and wellness center. Pamper yourself with an array of beauty and well-being treatments. Unwind with yoga. Work out in the resistance pool. Get your heart pumping in the onboard fitness center. Afterwards, refresh and recharge with a deliciously good-for-you smoothie at the L’Espirit Bar. Experience the magic each evening as Club L’Esprit transforms into Claude’s, a vibrant bar and entertainment venue. 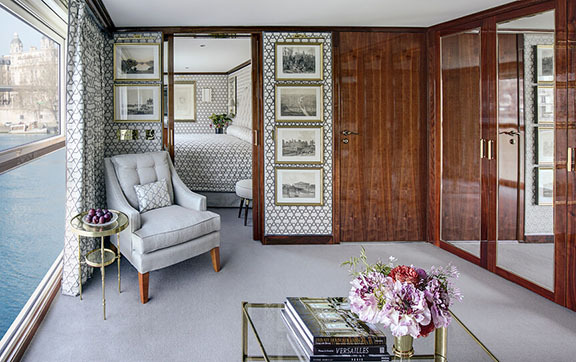 Claude’s glitzy and glamorous atmosphere is the perfect place to listen to local music, enjoy signature cocktails, or view a classic French film on select nights in an intimate cinema. 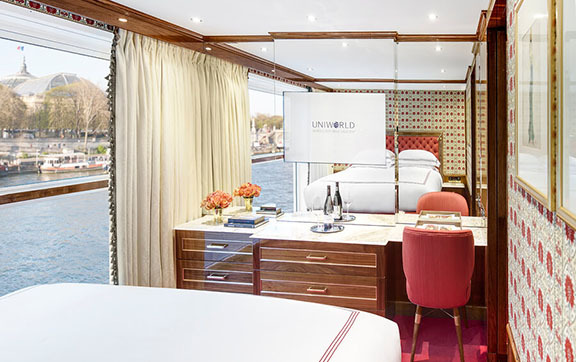 Lovers of French food and wine can experience an exclusive epicurean event in Uniworld’s onboard show kitchen. 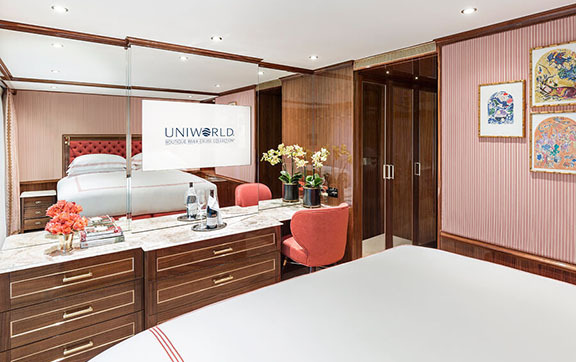 Under the guidance of Uniworld’s talented chef, prepare an exquisite seven-course meal. Then relish your creation with wine pairings designed just for you by our Sommelier. Simply ask our Concierge to reserve your spot. Bon appetit! 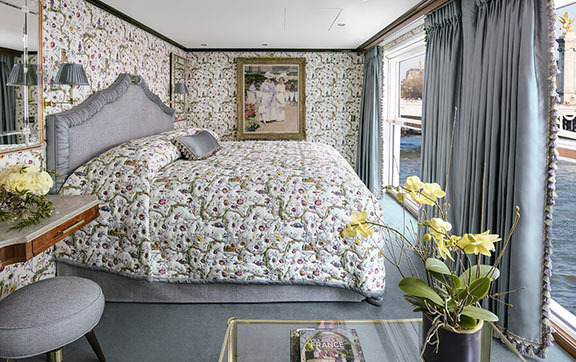 The ship’s very own Parisian-style sidewalk café serves classic French cuisine. Designed with windows that lower for an open-air ambiance, Le Bistrot is a très bon spot to savor wrap-around views of the Seine.